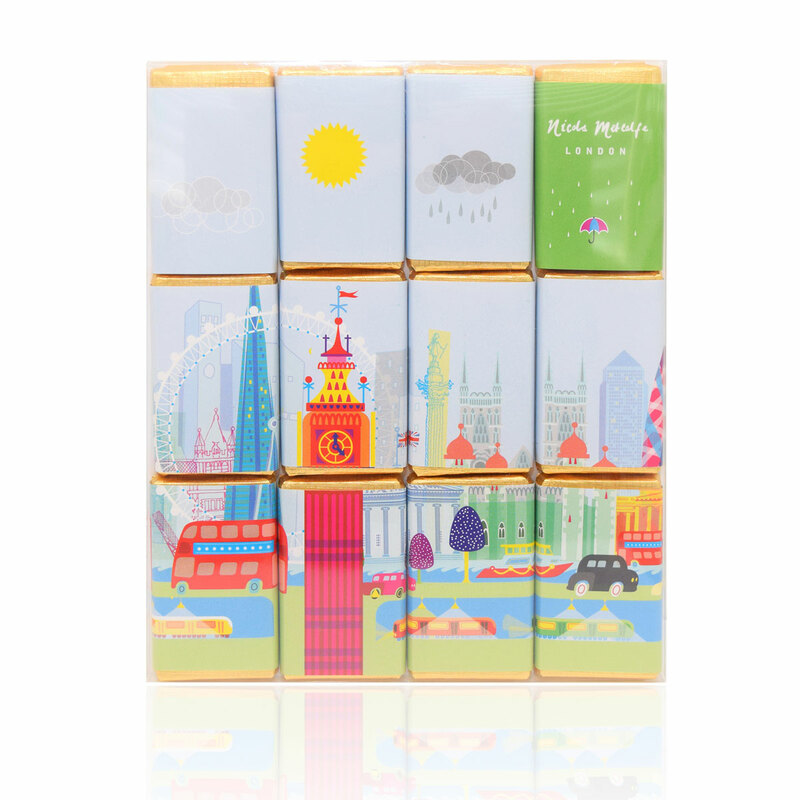 Twelve luxury, creamy milk chocolate bars wrapped in a paper wrapper with gold foil decoration. Features artwork by illustrator Nicola Metcalfe. Milk chocolate contains cocoa solids 33.5% minimum, milk solids 20.5% minimum.